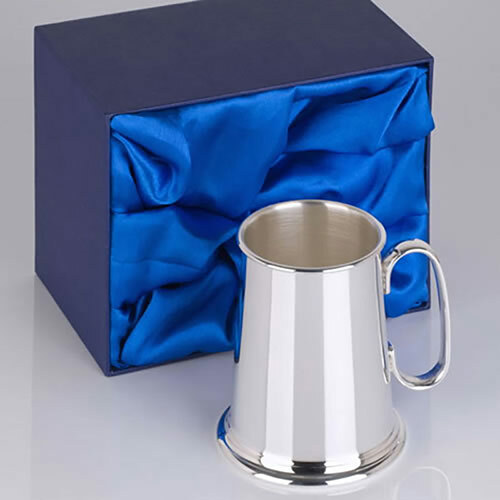 These classic English tankards are handmade in Birmingham, the traditional home of silversmiths. 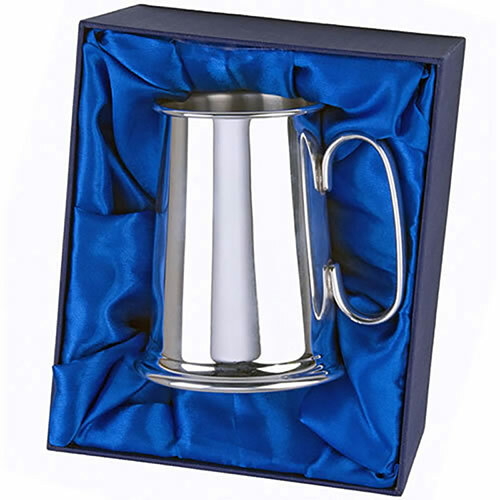 Crafted with a fine quality silver plated finish, they feature a plain (undecorated) body with a highly polished finish on the body, rim and base. These 1PT silver tankards also feature a 'C' shaped handle and are supplied complete with a luxury, fully lined presentation box. They can be engraved on the body and are ideal as corporate gifts or presentation items. We offer free engraving of text and logos on these tankards, along with low, fixed price UK shipping and bulk order discounts (see price matrix above.